I love that with a few different hair appliances you can create so many different looks. 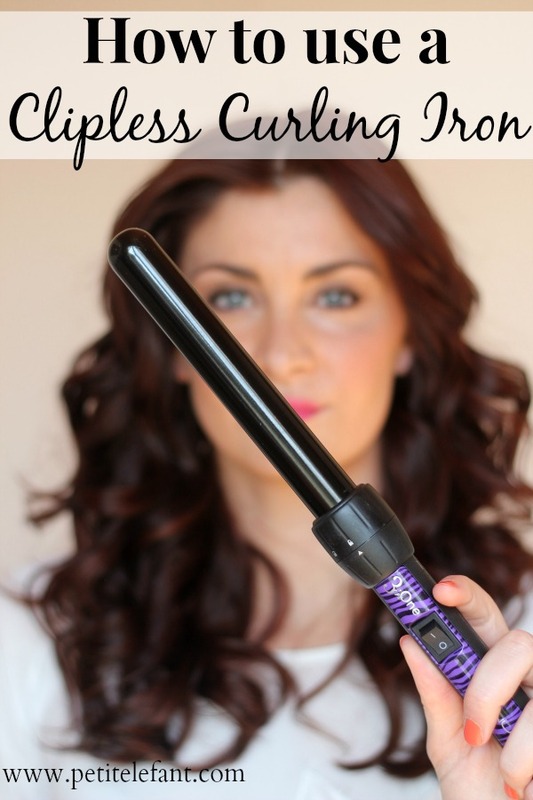 Especially with this interchangeable clipless curling iron, often called a curling wand. I absolutely love it. It comes with three sizes, small, medium, and large, and each creates a different look. Now I know that the fact that it’s clipless makes it seem harder to use, but fear not! It’s actually super easy and you’ll love it once you’ve got the hang of it. 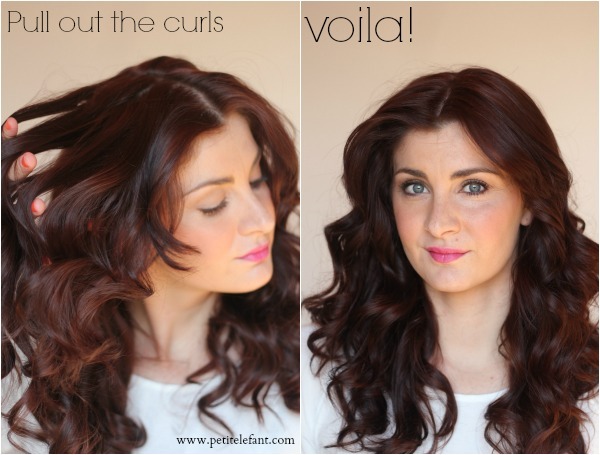 Follow along and learn how to use a curling wand! The one that I am using is called NuMe 3 in One although it looks like they’ve added a fourth since I got mine! I love it, no complaints here. For this tutorial I am using the medium barrel. Let’s do this. First start by separating your hair. I usually start at the bottom and work my way up so you don’t have to mess up curls as you go. The smaller sections you take, the more curls you’ll have. Then arm yourself! I double up in the glove department because I like to be able to completely grab the curling iron wand without it burning me. Note on the gloves — I recommend a glove that covers the wrist as well. There have been a few times I have been grateful for that! 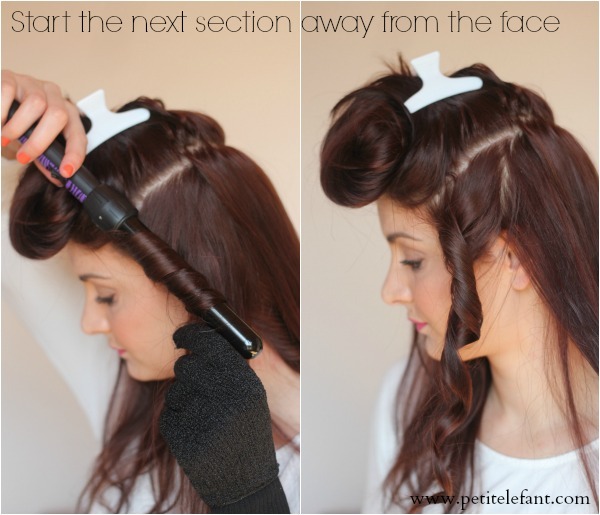 Point the curling wand down and wrap the hair around the curling iron away from your face. 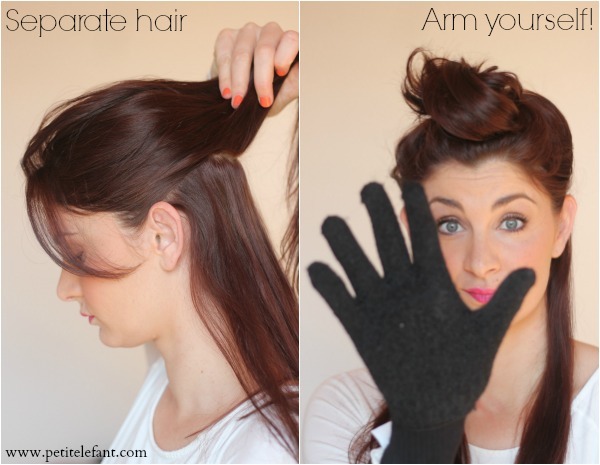 Hold for 15-20 seconds (less if you have super fine hair) and then slip the wand out. Easy peezy, right? I don’t feel like I need to go through every little section with you because it’s basically all the same idea! When you section out hair, do the front away from your face like I mentioned. If you want your curls to look more like natural bouncy curls then change the direction of the curling iron with each layer of hair. They’ll be more bouncy and natural looking. Once you’ve gone over the whole head with your curling wand, you’ll have a bunch of tight curls. Leave them alone until they’ve cooled. Spray with some working spray like this one and then run your hands through your hair all around. Maybe even flip your head and fluff it up a bit. Then take an awful, un-smiley picture of yourself. I don’t know what’s happening in this pic. There you have it! Here is a picture of another time I used this curling iron but my hair was a little shorter. 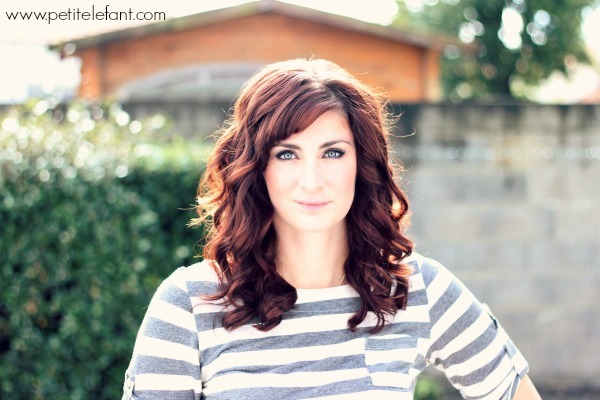 There are plenty of options for curling wands or clipless curling irons out there. I also own two tapered wands but I honestly wouldn’t recommend them. The hair tends to slip off the ends and it takes a little more work to get it done. 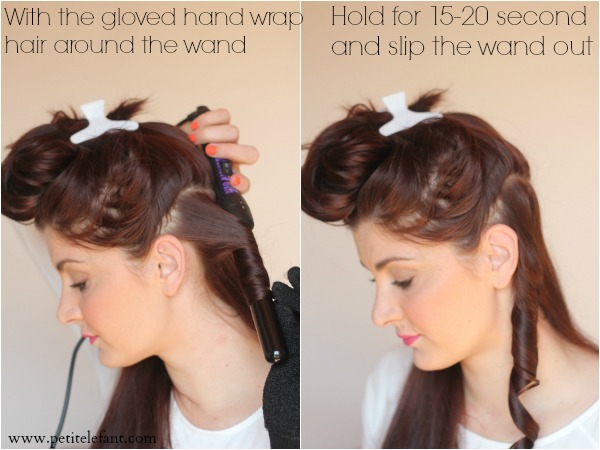 Now you know how to use a curling wand, and I hope I’ve inspired you to go clipless if you haven’t already. Have a great day! do you just use any old glove or do use a specific kind? I wondered about the glove, too! I’d never have thought of it.